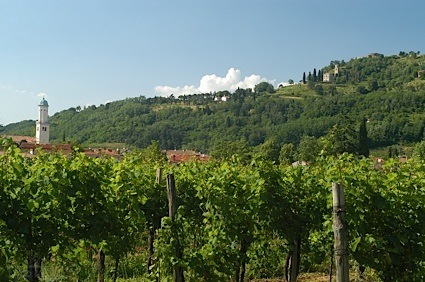 Bottom Line: A juicy, tropical sauvignon blanc with zesty fruit and mouthwatering acidity. 90 • Arabella 2015 Shiraz, Western Cape 14% (South Africa) $9.99. 84 • Arabella 2015 Cabernet Sauvignon, Western Cape 14% (South Africa) $9.99. 89 • Arabella 2015 Merlot, Western Cape 14% (South Africa) $9.99. 90 • Arabella 2016 Cabernet Sauvignon, Western Cape 14% (South Africa) $9.99. 85 • Arabella 2016 Merlot, Western Cape 14% (South Africa) $9.99. 88 • Arabella 2016 Shiraz, Western Cape 14% (South Africa) $9.99. 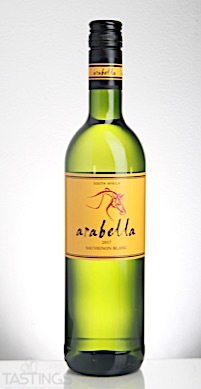 92 • Arabella 2017 Sauvignon Blanc, Western Cape 13% (South Africa) $9.99. 89 • Arabella 2016 Sparkling White, Western Cape 14% (South Africa) $9.99. 86 • Leatherwood 2014 The Red Blend, Western Cape 13.9% (South Africa) $13.99. 88 • Leatherwood 2014 Cabernet Sauvignon, Western Cape 13.9% (South Africa) $13.99. 93 • Leatherwood 2015 Viognier, Western Cape 13.9% (South Africa) $11.99. 87 • Leatherwood 2015 Cabernet Sauvignon, Western Cape 13.9% (South Africa) $10.99. 81 • Leatherwood 2017 Sauvignon Blanc, Western Cape 13% (South Africa) $10.99. 88 • Leatherwood 2014 The Red Blend, Western Cape 14% (South Africa) $10.99. 87 • Margaret 2017 Cabernet Sauvignon, Western Cape 14% (South Africa) $8.99. 87 • Margaret 2016 Merlot, Western Cape 14% (South Africa) $8.99. 90 • Margaret 2017 Pinotage, Western Cape 14% (South Africa) $8.99. 86 • Margaret 2017 Shiraz, Western Cape 14% (South Africa) $8.99. 87 • Nine Fields 2018 Chenin Blanc, Robertson 12.5% (South Africa) $9.99. 84 • Nine Fields 2018 Sauvignon Blanc, Robertson 13.5% (South Africa) $9.99. 87 • Nine Fields 2017 Merlot, Robertson 14% (South Africa) $9.99. 86 • Nine Fields 2017 Shiraz, Robertson 13.5% (South Africa) $9.99. 85 • Nine Fields 2017 Cabernet Sauvignon, Robertson 14% (South Africa) $9.99. 87 • Nine Fields 2017 Chardonnay, Robertson 13% (South Africa) $9.99. Arabella 2017 Sauvignon Blanc, Western Cape rating was calculated by tastings.com to be 92 points out of 100 on 9/20/2017. Please note that MSRP may have changed since the date of our review.